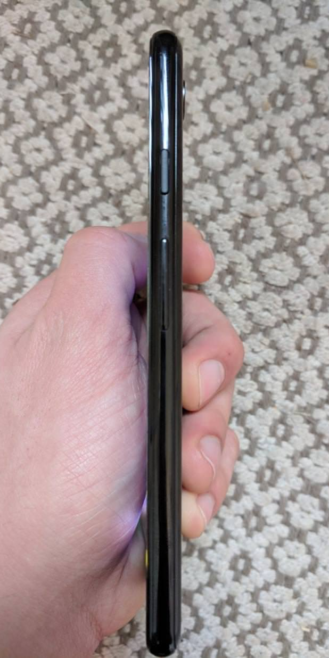 The Pixel 3 XL has been leaking left and right, and to put it lightly, people have not been happy with its massive notch. 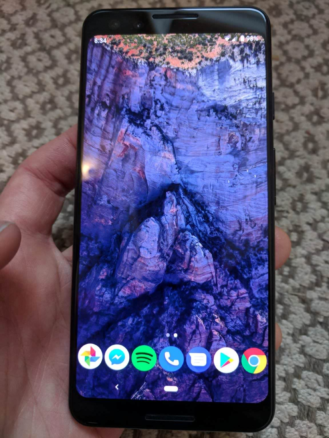 We’re finally getting to see the smaller Pixel 3 for the first time, and it looks like this may be the Pixel to get this year for many of you. Historically, the smaller Pixels have had huge bezels, but that’s changing with this third generation. The symmetric, unintrusive top and bottom bezels with their dual front-facing speakers make for a non-XL Pixel that is – dare I say it – actually pretty good-looking from the front. The rear has the same design as the Pixel 3 XL’s, which people seem to have mixed opinions on. Like its big brother, it’ll probably have wireless charging. The leakster here has taken the liberty of including several photos showcasing the specs. Unlike its predecessor, the Pixel 3 has a screen with rounded corners and an 18:9 aspect ratio. It’s stated to come in at 5.5″, but as we know, 18:9 screen sizes can’t be directly compared with 16:9 figures. 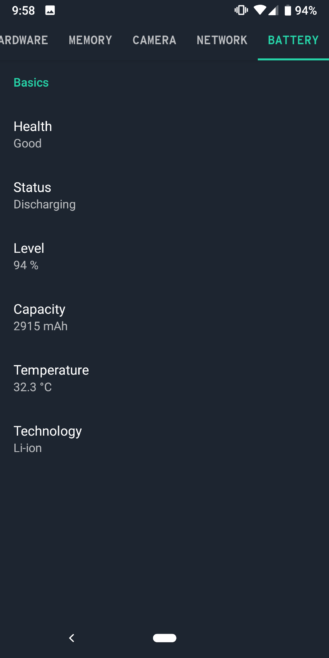 The battery comes in at 2,915mAh, which is a minor improvement over the Pixel 2’s 2,700mAh unit. Looks aside, what I personally find most interesting is the front-facing camera setup. 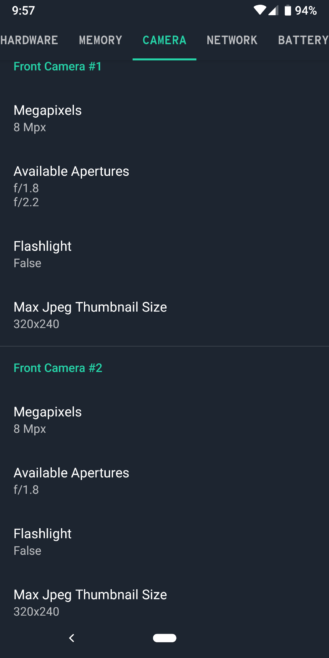 We’ve known that the Pixel 3s will have two cameras on the front, likely for biometric purposes, but this is the first time we’re seeing their specifications. 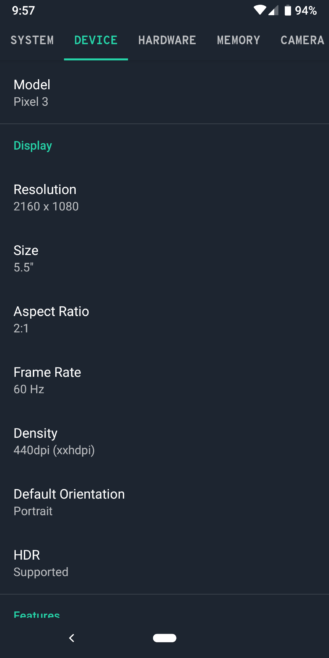 Both cameras are 8MP sensors, but while one has an f/1.8 aperture, the other is listed as having both f/1.8 and f/2.2 apertures. Variable aperture tech only recently made its debut on the Galaxy S9+, so it’s very odd to see it on the front of the Pixel 3. We’ll leave it to those of you in the comments to guess why Google decided to do this. One last tidbit: the leakster says in the comments that it’s a test device for a carrier that isn’t Verizon, meaning that Big Red’s exclusivity is probably ending this year. We’ll be finding out on either October 4th or 9th, but we’re still over a month away from the unveiling either way. 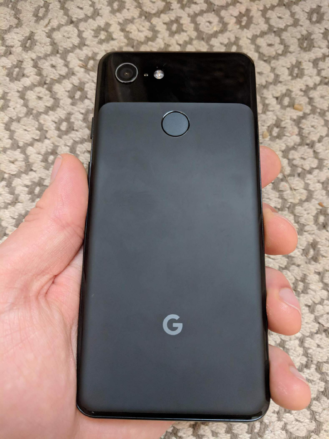 Hopefully we get more of the smaller Pixel leaked in that time, because it’s actually looking pretty appealing this year. Previous Post Is Bitcoin A Scam?